Between the Tea Party and the general distaste for more taxation and government spending, it might be bad year to be proposing…taxing and spending. As I noted on Labor Day, Mark Dayton’s tax-hike-based budget plan is very likely dead on arrival at the legislature. My rationale at the time was that Dayton’s tax hike was ten times the size of the increase that the DFL managed to pass by a single vote (Tarryl Clark’s, as luck would have it), when they had overwhelming control of both chambers of the legislature, at the height of Obama mania in one of the most ostensibly liberal states in the nation. Will they get ten times the money out of a legislature that is much more conservative, maybe with a flipped chamber, and an electorate that is just not buying more spending? DFL candidate former U.S. Sen. Mark Dayton wants to raise income taxes on upper earners, but you won’t hear about it from some DFL legislative candidates. You also don’t hear “Democrat” or “DFL” from some of them. But I digress. Some are also promising to vote against the proposed income tax increase if Dayton is elected governor. “I don’t talk about that,” said DFL state Sen. Terri Bonoff of Minnetonka, who spent a recent afternoon knocking on doors in in Plymouth, a mostly Republican area of her suburban district. Bonoff is a moderate Democrat, and she said her re-election bid depends on the support of independents and some Republicans. “I have a lot of respect for Mark Dayton. But I have my views about what we ought to do with regard to taxes, and it’s not about protecting the rich,” she said. “It’s about right now we have too much reliance on the income tax, and as the demographics change in our state and our folks are getting out of the workplace, more and more seniors, they don’t have that kind of income stream. The concern is similar in the east metro suburbs. Sen. Kathy Saltzman, DFL-Woodbury, who’s locked in a tough re-election fight, also stresses her independence on tax issues. She’s voted against previous attempts to raise income taxes on upper earners. Saltzman hasn’t endorsed a candidate for governor, but she’s met with Dayton and Horner. Saltzman said she asked Dayton to be open to other tax ideas, not just taxing the rich. Saltzman said Republican Tom Emmer’s cuts-alone approach to the budget is unrealistic. She favors a balanced approach that includes some revenue, and is open to a sales tax expansion as part of a broader reform of the tax code. But Saltzman said she will not support the Dayton tax plan. “It will be very difficult to get it by me. I would say he won’t get it by me. He will note get my vote,” she said. The Dayton Tax “Plan” will never see the light of day, if Dayton is elected. Electing Dayton would be a complete waste of time. 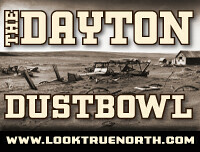 This entry was posted in Dayton Dustbowl by Mitch Berg. Bookmark the permalink. Even my liberal colleagues and friends have acknowledged the fact that should Dayton get elected, any Dim that is up for election after that, would be committing political suicide by voting for increased taxes. The union guys that I know, also see the light. They know that a. taxing the rich always trickles down to everyone and b. expansion of the sales tax will be devastating to them. The fear of such actions starting a vicious cycle of their unions chasing COL increases to offset them, then companies sending more jobs out of state, is pretty real to them. It is good to see that some union guys get it. As I have posted previously, we all know how short sighted liberals are in their pursuit of more of other people’s money to spend. By increasing the sales tax, they will seriously cripple the hotels and restaurants, thereby reducing tax receipts as tourism drops. This is all common-sense economics but…we live in Minnesota. Terri Bonhoff: “I have a lot of respect for Mark Dayton.”. Sounds like “My good friend from across the aisle”. Bonoff has been wanting to expand the sales tax for over a year now, and as a strategy to stabilize revenue it’s not a bad plan. Problem is she wants to do it to raise additional revenue (same as Horner). She knows that an increase in income tax rates won’t go over well in her district (SD43), although she’ll vote for it if told to. I see many Horner signs in Minnetonka with a Bonoff sign next to it. It is not good news that Bonoff is capturing IP voters. “Not good news” for whom? I read that as bad for Dayton, from where I sit in the Peoples’ Republic of Saint Paul; fewer Dems for Dayton. Wouldn’t it be fun if next session turned into a parliment brawl that is seen over in England or Australia? I say screw civility I want to see fists thrown. yeah, that’s the “not good news”. Reread that sentence carefully, folks. Let’s translate from poliwonk to real person. What’s she’s saying is that we’re not taxing retirees enough. Here I thought that the DFL was all about protecting social security and old people. Where’s AARP on Bonoff’s candidacy? Generally, I favor a move from taxing income to taxing consumption, but in Bonoff and her friends case it’s just about increasing revenue. Revenue from income taxes is highly variable, and the more progressive it gets the more variable it becomes. AARP would most likely support it! They are not the champion of the seniors that they portend to be. The majority of their money comes from selling Medicaid policies. That’s why they endorsed Obamacare. And, that’s why I send all of their mailings back to them! Other than not joining, I use that to tell them to pound sand! MoN, I agree, taxing consumption makes a lot more sense and I’d support it if we got rid of the income tax. But Bonoff is explicitly saying that we need to raise taxes that target seniors. Were I Bonoff’s opponent, I’d take advantage of the higher turnout of seniors to highlight her policy statement there. And here I thought that folks moving to Florida and Texas was a problem when they were only subject to our income and property taxes. Of course, if we ship all the old folks to Florida then we don’t have the Medicaid payments to make, but we sure will lose the estate taxes and fees, too, as well as encourage more folks to move out of state to be near their parents.